At In-Pulse CPR, we don’t believe that you have to scale tall buildings or defeat scary villains to be a hero. Instead, we know that some of the greatest heroes live and work right here among us. Unfortunately, many of those heroes never get the honor that they are due. We want to break this cycle by taking a few minutes to show our genuine appreciation for some of today’s most important heroes: nurses. Nurses deserve appreciation because they are the backbone of the healthcare system in the United States. As of 2016, there are more than 3 million registered nurses across the nation, making nursing is the nation’s largest health care profession. Whether you visit a doctor’s office, need long-term care, or get admitted to the hospital, a nurse will be there to assist you. Nurses are the primary providers of hospital patient care, and they also deliver most of our country’s long-term care. You might be surprised to find out that there are nearly four times as many RNs in the United States as physicians! Nurses deliver a diverse range of health care services, including primary and preventive care in pediatrics, women’s health, and elderly care. Many nurses continue their education by becoming certified nurse-midwives or certified registered nurse anesthetists. Although nursing is a noble profession, it is certainly not the easiest field of service. 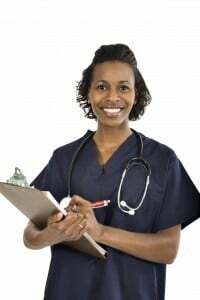 According to a survey conducted by the American Nurses Association, more than 75 percent of nurses state that they are concerned about their health because of the effects of stress and overwork. These problems are exacerbated by a national nursing shortage. In many areas, there simply are not enough nurses to care for patients, resulting in long schedules and exhausting work conditions. According to Gallup polls, Americans rate nurses above all other professions when it comes to honesty and ethics. Nurses have received this honor for 14 years in a row. Nurses do so much more than drawing blood, administering medications or cleaning wounds. They educate and mentor new nurses, support patients and their family members emotionally, keep patients as comfortable as possible, and explain complicated medical concepts in a clear, understandable manner. Nursing is often known as a thankless job, but it does not have to stay that way. We each have the power the make a difference when it comes to helping nurses feel valued and appreciated. The next time you receive care from a nurse, take a second to say a genuine, “Thank you.” When you think of a nurse who has provided exceptional care, write a note commending her performance, and send it to her and to the healthcare organization she works for. Nursing is vital, but you don’t have to earn a nursing degree to have the power to potentially save a life. Contact our team at In-Pulse CPR to find out how you can become certified in CPR and basic first aid. When we all work together, we can create a healthier, safer world.